Atlanta has long been one of hip hop's hottest spots. The city launched the careers of the some of the genre's biggest stars, from Outkast to T.I. and a laundry list of others in between, and is the unofficial capital of major label rap. Despite the presence of the major label crowd, however, Atlanta has a thriving underground hip hop scene that has something for everyone looking for music a little off the beaten path. Atlanta's hip hop underground has a little of everything, from rappers making club anthems to so-called trap music - music with lyrics that describe life selling drugs. The diversity in Atlanta's underground scene is possible for a few different reasons. One is the major label scene that has had such a strong presence in Atlanta since the 1990s. From So So Def to LaFace Records, Atlanta has been ground zero for some of hip hop's biggest acts for more than two decades, and that massive music infrastructure has allowed the music scene to blossom. Thanks to the success of the majors, there are an infinite number of clubs, promoters, radio stations and more for artists seeking mainstream success as well as those in the underground. Another reason for Atlanta's thriving underground rap scene is the city's cultural identity. Rap is to Atlanta what country is to Nashville, and the city's residents - from the middle class to the large student population - have an appetite for finding non-mainstream hip hop music. Independent rap artists have an audience seeking them out in Atlanta. Last but not least is the influx of hip hop "retirees." 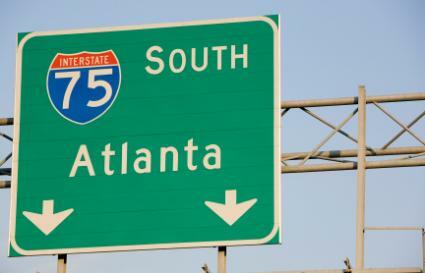 Many artists who hit it big in the 80s and 90s have relocated to Atlanta for better weather and cheaper living costs. These artists are often looking for new artists to produce, manage or release, which in turns helps foster the underground scene. Atlanta's underground scene can actually be divided into two groups - locals and transplants. Southwest Atlanta - birthplace of Atlanta rap royalty like Outkast and Goodie Mob - is the most active stomping grounds for local artists. These artists often embrace the sounds of their Georgia rap forerunners or look to newer ATL-based artists like Gucci Mane or Waka Flocka Flame - themselves products of the city's underground - for inspiration. The transplant artists are rappers who come from outside Atlanta and often bring their own sounds with them. Some of these artists come from other Southern states, especially neighboring Alabama, but many come from New York, California and beyond. Underground rap legend Jus Def and his Sub Verse label-mates, including MF Doom, relocated their operation to Atlanta and brought with them a B-boy style of hip hop that focuses heavily on turntablism. Midtown Atlanta is a popular location with underground transplant rappers. These distinctions between artists do not necessarily mean hard and fast music rules. Many artists born and bred in Atlanta embrace and emulate the sounds brought to the city by transplanted rappers, and the same holds true for Atlanta newbies embracing that down south sound. The best way to really get the beat of Atlanta's rap scene is to listen to the city's own radio stations. Both Hot 107.9 and V-103 steam live online and play music by local artists.